Hello GT fans! 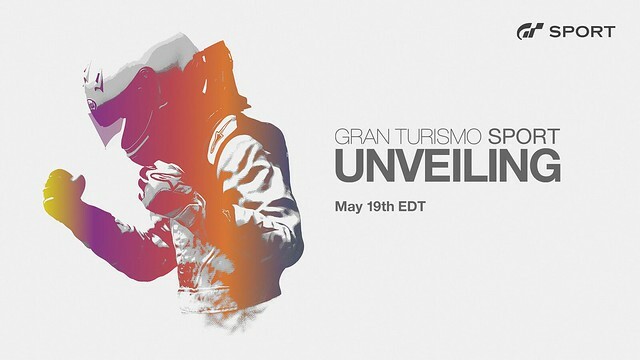 We’re thrilled to announce that on 19th May we’ll be streaming brand-new Gran Turismo Sport footage from an exclusive London event, and sharing new details about the latest entry in Polyphony Digital’s acclaimed racing series. Not only that, but we’ll also be streaming Pre-Season Test of FIA Gran Turismo Championship Cups- the Nations Cup Pre-Season Test and the Manufacturer Fan Cup Pre-Season Test. We will also be lucky enough to have 9 full-scale Vision GT Cars and 2 ¼ size models present at the event, which is a world first! We’re pleased to announce that we’ll have very limited places up for grabs for fans on the second day of the two-day London event, on Friday 20th May. Look out for more information soon on how to get involved on our PlayStation UK social channels and GT Planet. Hope you join us on the stream! I’ve been a Gran Turismo fan since GT3 but my favorite Gran Turismo is GT4. I agree GT4 in my opinion was the best game in the series thus far! Hope the beta is soon too, you can anyways roll out the beta slowly to more and more people! Oh, and I can't talk about GT without begging you all to please get that Porsche licence from EA already.. Or get permission to include Porsche like MS does with Forza.. RUF is nice but Porsche has so many beautiful models that deserve to be in the best racing game ever. The winningest manufacturer in racing history = the biggest thing missing from GT all these years. Sweet! Looking forward to seeing what GT Sport will bring to the table this time around. Thanks for posting it here also! Please put on Ps4 Gran Turismo 4 as PS2 classic only premium modelo on GT sport!! I’m eager to see if GT Sport can top Driveclub technically. DriveClub? Are you serious? DC is not in the same class as GT! Bring it on,cant wait for it.drive club huh.!!! I gave up on GT games after GT6 when I couldn’t get past the final tests to play the rest of the game. It is ok to have a hard game but you should have something coded in where if you try it X number of times then the time restriction lowers until you can actually play the game you payed for. Maybe it is because I don’t have a driving wheel (talk about overpriced) but still, I should be able to play the whole game that I paid for. Those final license tests were very hard but I kept at it until I beat em! There is a way now, bou you have to make an adapter but fully works checks google!! I am so pumped for this! I haven’t played a Gran Truism game in a while since Gran Truism 6 wasn’t available for PS4. I been playing GT sins GT1 i played all of them and enjoyed everyone i played.I cant wait for this one. Been waiting for this game since I got my PS4. Thank you now I can race again.